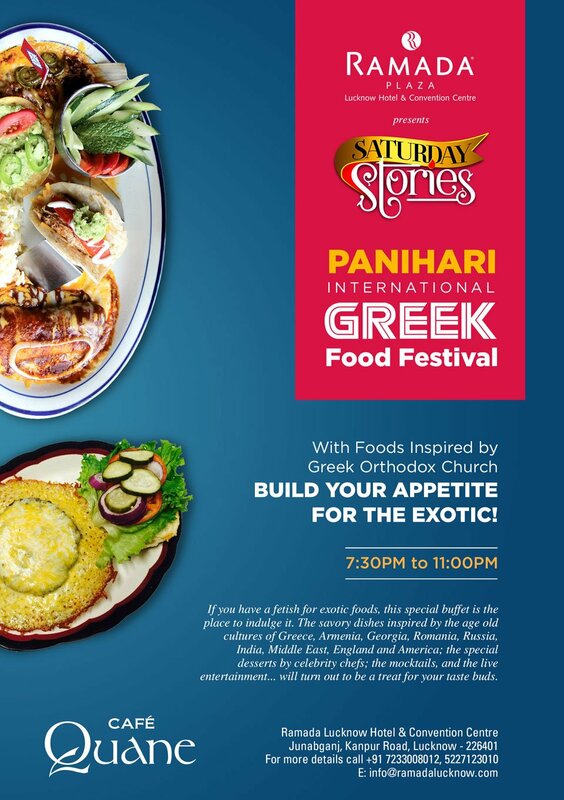 Build your appetite for the Exotic this February, with a celebration in food inspired by the Greek Orthodox Church. If a fetish for exotic food is your forte, Saturday Stories at Ramada Lucknow Hotel & Convention Center is the place to indulge.yourself. Inspired by the classic dishes of Greece, Armenia, Georgia, Romania, Russia, India, Middle East, England & America.The special desserts created by celebrity chefs, mocktails and live entertainment – Saturday Stories will turn out to be a real treat for your tastebuds. At Cafe Quane, all Saturdays, from 7.30 pm – 11.00 pm.